Streptavidin bacterial protein, molecular model. Streptavidin is a protein obtained from the bacterium Streptomyces avidinii. It has a very high affinity for biotin, forming one of the strongest non-covalent bondings known. 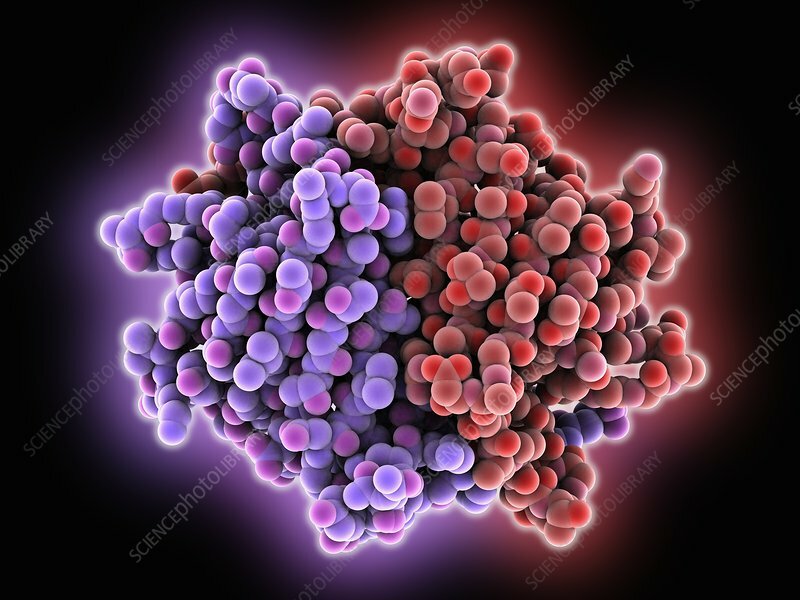 The complex of the two molecules is used extensively in molecular biology and bionanotechnology because of its resistance to organic solvents, other chemicals, and extremes of temperature and pH.